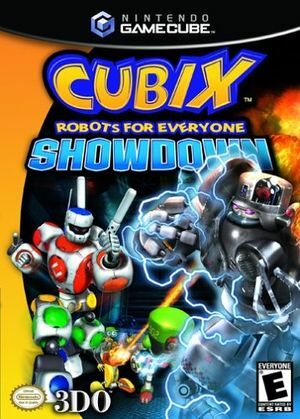 In Cubix Robots for Everyone: Showdown, based on the 3D animated TV series, players command Connor, Abby, and the other Cubix characters in turn-based combat to save Bubble Town from the evil Dr. K and his giant robots, Kolossal and Solex. As you win battles, you "fix" corrupted evil robots and turn them to the side of good to help your cause, solving puzzles along the way. You can collect up to 25 robot team members. Gameplay modes include Battle, Story, Puzzle, and five mini-games. For some reason use of the HLE DSP seems to cause this game to run more slowly than with the LLE DSP, which may cause issues with audio rendering. Use LLE to avoid these issues. The graph below charts the compatibility with Cubix Robots for Everyone: Showdown since Dolphin's 2.0 release, listing revisions only where a compatibility change occurred.